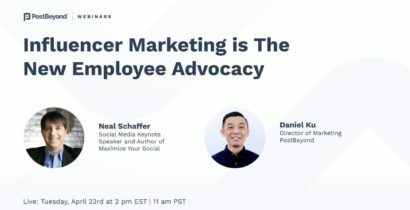 Many marketers face a major problem with employee advocacy. They’ve significantly invested in marketing technology and employee advocacy to amplify their social media efforts, but technology is increasingly complex and difficult to use. To have a successful employee advocacy program, employees need to be properly on-boarded, trained and managed. But this isn’t always an intuitive process, this is a completely new program and initiative for most companies. So if you’re in the same boat, you’re likely not alone. 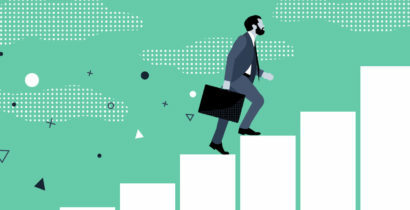 When building an employee advocacy program, many companies require a dedicated customer success manager to help guide the initiative – from launch to scale. An employee advocacy program without Customer Success is like a driving a car without a GPS. You’ll eventually get to your destination but there’ll most likely be a few wrong turns along the way. Customer success ensures your success is intertwined with the desired outcomes of your program. A dedicated expert knows exactly what you need to do to see the results you want. They know the hurdles you might encounter and most importantly, they know how to overcome them. In a nutshell, customer success and the customer are united with one end goal – meeting and exceeding expectations. 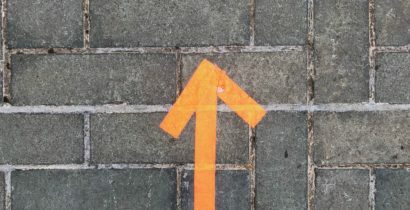 After getting over the initial hurdle of securing buy-in and investing in an employee advocacy solution to help generate results, it’s now time for putting it all to action – organizing, planning and launching your program. It can be overwhelming. On top of all your day-to-day responsibilities, where do you find the time to figure out how to properly launch your program? This is where a CSM can be a powerful resource for saving time and avoiding mistakes. A capable CSM has launched hundreds of programs and to be frank, they’ve seen it all. They know exactly how to handle any obstacle that comes your way. How will you measure the success of the program? How does this program fit into the larger goals of the company? CSMs collaborate with you to ensure you understand the full implementation process and can make informed decisions. They also help you develop promotional materials to get your employees as excited about participating in this program as you are. After the excitement of launching a program, it’s important to keep up the momentum. The initial use from your team may gradually decrease over time, but this is perfectly normal, you just need to know how to keep things fresh in your program. Below is an example of how working with a CSM can affect a program. One of our clients launched in March, the program was chugging along but not seeing the engagement they were looking for. In September, they worked with their PostBeyond Customer Success Manager to launch a contest and leverage our gamification features. As you can see below, the contest resulted in the highest amount of user logins the program had to date as well as a 500% increase in post interactions. I’m sure you’ve had the frustration of only finding a support email or phone number when trying to get some support. A helpdesk is great for simple questions and inquiries but significant issues and strategy questions require a helping hand. Without a dedicated CSM, you could be passed around to different individuals, who don’t have the history with your account. Getting everyone caught up to speed before receiving assistance can be a major time-waster. When looking for solid program management, companies should provide an expert. A dedicated CSM who knows the history of your program, your specific objectives and provides strategic direction throughout the entire program duration. Together, you’ll be able to move through key milestones and ongoing growth planning. In addition to strategic planning and account oversight, ongoing support is crucial. Issues crop up, mistakes happen and quick fixes are needed. Invest in Martech that prides itself on customer support. There should be a team of product experts there to ensure that administrators and end users can easily find answers to their questions and issues. On-demand resources should also be available in a constantly updated help center. This will help admins troubleshoot their users’ issues and can be repurposed as training materials to help cut down on admin prep and response time. From getting leadership buy-in to scaling a program or justifying the value of the program, there need tangible results. A CSM should work with you hand-in-hand to help gather product success stories. This will help show ROI to leadership and inspire laggard users to get engaged. There should be quarterly business reviews with a dedicated Customer Success Manager to ensure the program is tracking successfully against key performance indicators. And finally, your voice should be heard when it comes to product suggestions. The company you partner with should be invested in success and want to hear from you. Does the company have a CAB (customer advisory board)? Do they take your product suggestions seriously and work it into their product roadmap? Or if not, do they take the time to explain why? These are keys factors to consider before investing your company’s money into technology. Customer success should be a make or break when looking at employee advocacy solutions. Having a strong level of support can help mitigate costly mistakes, lighten heavy implementation workloads, provide invaluable program guidance and help you to ensure you get the most out of your investment. Sarah has a background in social media and digital brand building. 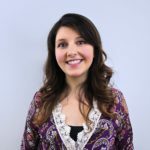 As a Customer Success Manager at PostBeyond she works with B2B and B2C companies on best practices to drive business results by navigating the emerging opportunities in social media and employee advocacy. When she’s not cheering her customers on, she’s an advocate for great corporate cultures, runs workout bootcamps for her community and obsessively watches Gilmore Girls.